In case someone has been wondering about my absence from BCB in the past semester, let me reassure you of my return in Fall 2017: I am currently not in Berlin but studying abroad at AUC in Amsterdam. 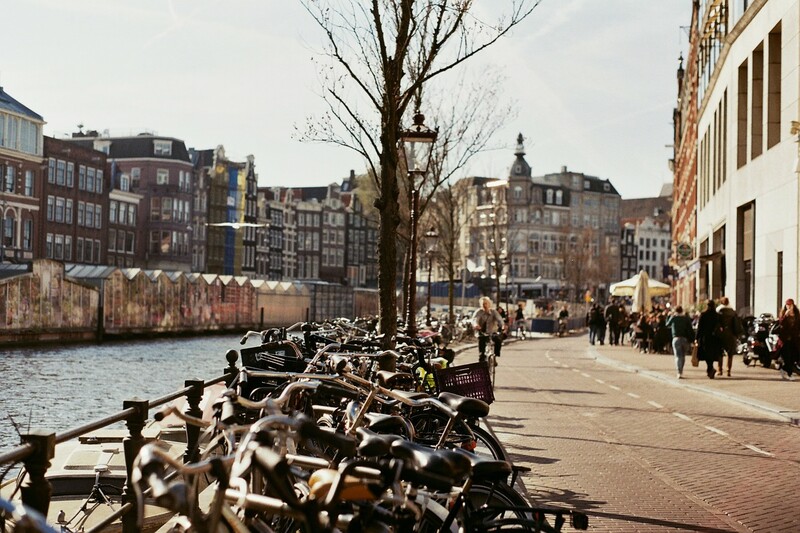 The first question one might ask is probably: Why would I study abroad in Amsterdam? Isn’t it just like Berlin, only smaller and with canals and actual bike lanes? I asked myself the same things. 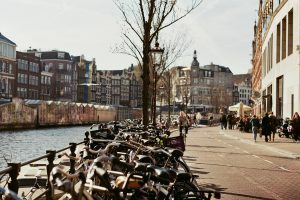 But if that’s all you know about Amsterdam, you should just come here and fall in love with this beautiful city yourself. Very few people are able to escape its magic spell. Going abroad is a challenge, no matter if you go as far as Hong Kong or as close as the Netherlands. You find yourself in an unfamiliar environment full of new faces, unknown places, new tasks, new routines, new cultural norms. You are free from your old world and you can completely re-invent yourself, if that is what you need. But you also need to have a lot of small talk until you find “your people,” who you can sit with in absolute silence. You have to visit a lot of places, make many memories, before it becomes “your city” and starts feeling like home. My Mom always told me how important it is to challenge yourself and to not constantly repeat the same actions and thoughts. This was my main reason for applying to take part in Liberal Education Student Conference in Freiburg this May (I guess you all received one or the other mass email about). This conference is organized by liberal arts students from the Leuphana University in Lüneburg, Germany and students from the University College Freiburg. 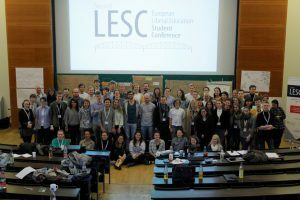 Liberal arts students from all over Europe meet for a weekend to discuss the importance of a liberal arts education in our contemporary world. This year’s topic was “A complex world needs complex thinking: The potentials and limits of Liberal Education in approaching contemporary challenges”. It was my roommate here in Amsterdam who made me apply. I told her I was thinking about applying but unsure if that was the right thing for me to do. She soon realized that I was only being an insecure coward, and then there was no mercy left for me to chicken out. I have to admit that I was still nervous when I got on the train to Freiburg. I mean, aren’t the participants in such conferences always either the super-smart or the super-engaged students? I was not sure if either of these titles were appropriate for me. I enjoy discussing contemporary issues and the question of the meaning of life, which never loses its relevance, but how do you know that what you say is actually a valuable point worth discussing at a conference? There were four different discussion groups that we could participate in: The Future of Health, Populism and Distrust in Sciences, Adapting (to) Technologies, and one on Human Rights. Last semester I took a class on Populism at BCB; this semester I studied Nationalism at AUC; contemporary politics fascinates me, so Populism was my choice. 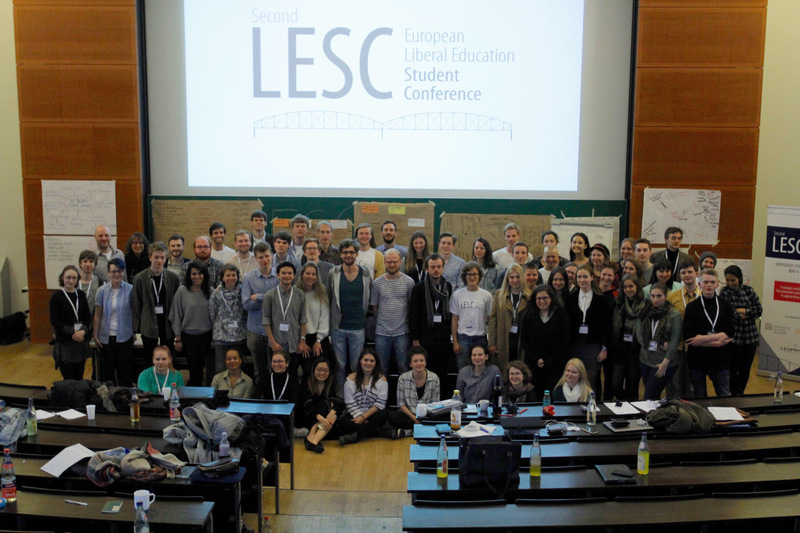 When applying for the conference, all participants were asked to write papers on their personal experiences with their liberal education and to try to connect those to the challenge of their track. These papers were seen as the basis for the discussion. My paper was about the commercialisation of the Liberal Arts and the potential danger of it evolving into something that replicates the current world order instead of challenging it. When I read my peers’ papers during my 10 hour journey to Freiburg, I just thought: that’s going to be an interesting conversation. They have a scientifically proven point, real references, and I just want to protect my beloved fair maiden Liberal Arts from the evil wolf Neo-liberalism. What I believe is that a liberal arts education should be accessible to and affordable for everyone who wants to know more about the world and themselves, who is willing to learn and re-think predominant paradigms, and who wants to learn how to put things in perspective. Aren’t these skills lacking in our contemporary society? It is a privilege to study liberal arts, but that should not mean that only students from financially privileged families are able to engage with it. Then I read a student paper about the difficulties and dangers of critical thinking in Liberal Arts. Guess who was the main reference for this paper: David Hayes, Bard College Berlin. I do not know how you feel about his teaching, but to me he has been one of those teachers who encourages and demands that I think differently. I had a conversation about Plato with him once, and he basically told me that the way I had understood the texts was not at all the point of Plato’s writings. His philosophy is not about constant questioning, but it is rather about embracing the fact that you do not reach an answer, becoming comfortable with that thought, and then using the state of not knowing to create something beautiful out of it. Plato is not a nihilist: He encourages us to stay inquisitive. This had a huge impact on the way I think about the world. And just knowing that there was someone at this conference whose thoughts got inspired by that same person encouraged me and made me feel comfortable with the task I had given myself. The conference took place in Freiburg, a really lovely German city in the middle of the Black Forest surrounded by nature. The University College Freiburg is part of the old public university founded in 1457. The buildings are very old with big staircases, huge windows, and a storefront with beautiful columns. On the main building it says in golden letters: WISSEN MACHT FREI (knowledge liberates). The university is in the city center, so the whole atmosphere is very different compared to BCB in ‘peaceful Pankow’. When I arrived at UCF the students were very friendly and welcoming. They gave me my name tag and a street map and showed me how to get to our first official lecture. The first question when they found out that I was a student at BCB was: Where is David? Students in Freiburg that had participated in the first Student Conference in 2016 were disappointed when they found out that BCB’s David Kretz had been replaced by a girl with the same haircut. But I think I managed to become a good representative of Bard College Berlin, nonetheless. However, all of this makes me think that BCB is only known for having so many great Davids and that everyone else remains lost to the outerworld. My first impression of everyone participating was: Oh my god, everyone is so nice here, how can that be real? My fears had been unreasonable. The whole atmosphere was saturated with respect and curiosity. I met many people who are as passionate about the Liberal Arts as I am, but their understanding of the Liberal Arts is very different. It was also interesting for me to be able to compare the way things are taught at AUC with the way we do them at BCB. There is not one simple formula for a liberal arts education: Everyone has taken different classes, read different books — but still the experience is similar, relatable. I found a common ground with everyone I talked to. And even if we disagreed on something during the discussion, we still treated each other with respect and kept encouraging each other to elaborate on our point. It was not about competing with each other for whose point is better, it was about figuring out together what is going on in our world and the best approach to take. In addition to the different track discussions we had different Keynote speakers who talked about their experiences with a liberal education and how they used these experiences to deal with complex problems in their own fields. They gave practical examples of how they incorporated interdisciplinarity in their own research and encouraged us to use our ability to approach conflicts from different perspectives. We soon encountered the problem of language in our discussion: How do we define populism? Who are the people? Who is the Elite? What are Nations? Emotions? Identity? Is populism really such a recent phenomenon? And aren’t we amplifying the felt gap between “the people” and “the elite” when we say: We, the liberal arts students, will use our knowledge to build bridges? And what are the Liberal Arts supposed to turn us into? Future leaders? Political activists? Knowledgeable academics? Or responsible citizens? These are the important and controversial questions our discussion raised. Of course one can easily get lost in great literary works and essay deadlines during the school year, but it is also important to step out of that every once in awhile and reflect on what it is we are doing. What does it mean when we choose a liberal arts education, and where do we want to go with it? If you are interested in answers instead of more questions, then you can check out some of our ideas and results at https://2ndlesc.wordpress.com/. And no, we did not find the one and only answer to many of our questions. The one thing everyone agreed upon is that there is no such thing as an easy solution, no “the meaning of life is 42”, and then it’s done. Uncertainty and complexity can be frightening, and as soon as there is no longer a clear cut between right and wrong conflicts seem to emerge. Where is the freedom in 42? Where is our opportunity for action and change? Where is the room for dialogue and discussion when everything has one solution? And maybe most importantly: what happens to our sense of responsibility when everything is already solved for us? That weekend in May was a really great experience. I have learned a lot about the Liberal Arts and how to approach contemporary challenges, for sure. But the one thing that will stay with me is that I want to do these things more often. I want to keep challenging myself. And maybe we should all do more of that: do something we have never done before, talk to people that have opinions we don’t agree with or that we have never heard before, generally stay curious about knowing and experiencing new things. Engaging with a liberal education is a good step in the right direction, but it is not a free ticket to responsible citizenship. Our education is only what we make of it.